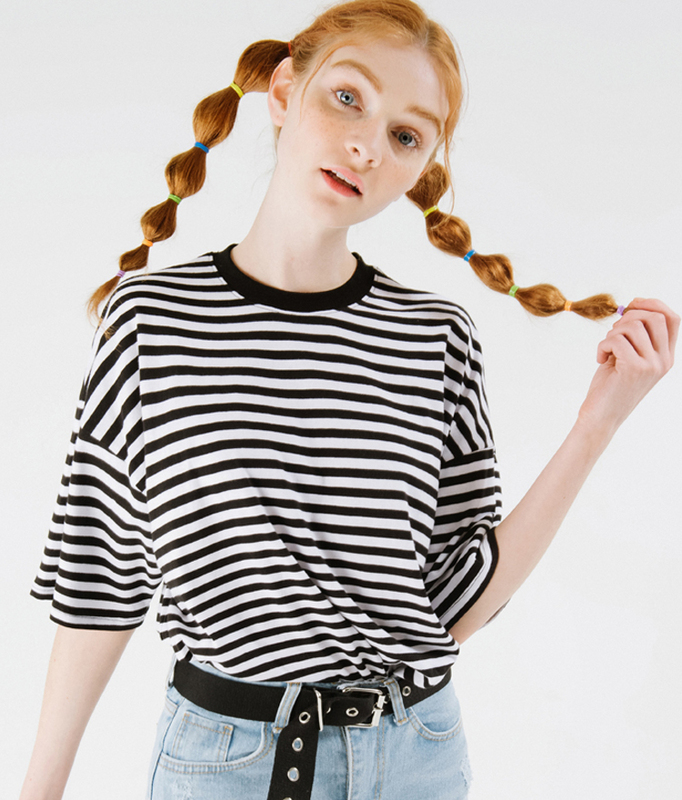 The striped pattern of this t-shirt gives it a timeless appeal. This piece comes with a crew neckline, dropped shoulders, half sleeves, and a loose fit. It never fails to look good with a pair of denim bottoms and lace-up sneakers.